Do you have a photo of this Public Building? 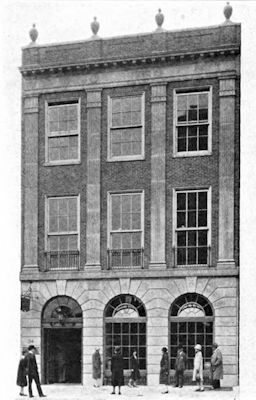 The Business Branch of the Newark Public Library opened in May 1927. It is a three-story building of modernized Georgian architecture, Harvard brick with white stone trim. It was built at a cost of about $231,000, including the cost of the site, building and equipment. All the floors measure 29 X 80 feet. On the first floor are directories of all kinds, city and trade, investment services, atlases and maps. On the second floor you will find ample reading space and hundreds of periodicals and the best books on every branch of modern business. The third floor provides for growth with much of the space currently reserved for work rooms and staff rooms.